For certified organic chicken and turkey, click here. 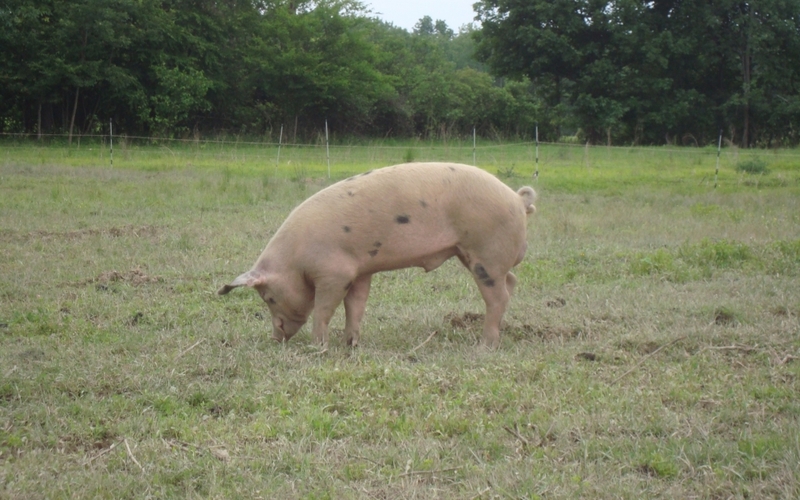 The meats available from the farm come from our own free-range/pastured animals. They are humanely treated and fed organic feed. 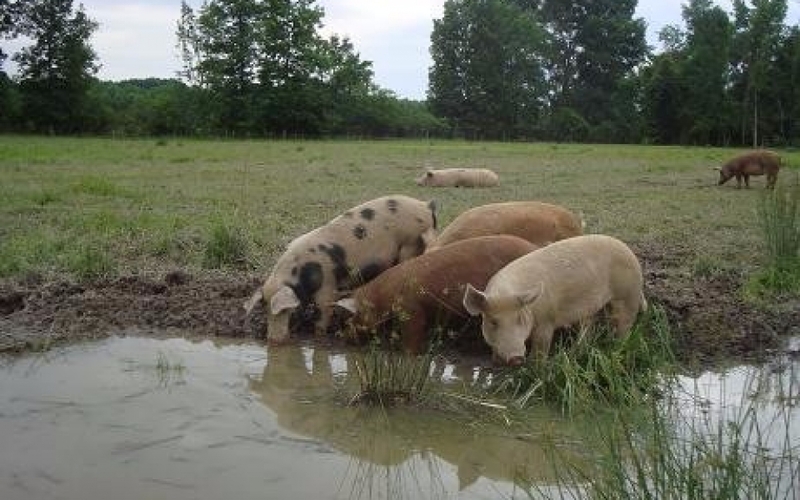 In addition, the animals gain additional nourishment by foraging as they roam the farm in the comfort of their own herd. For their optimum health, cows and sheep are fed exclusively grass and hay. 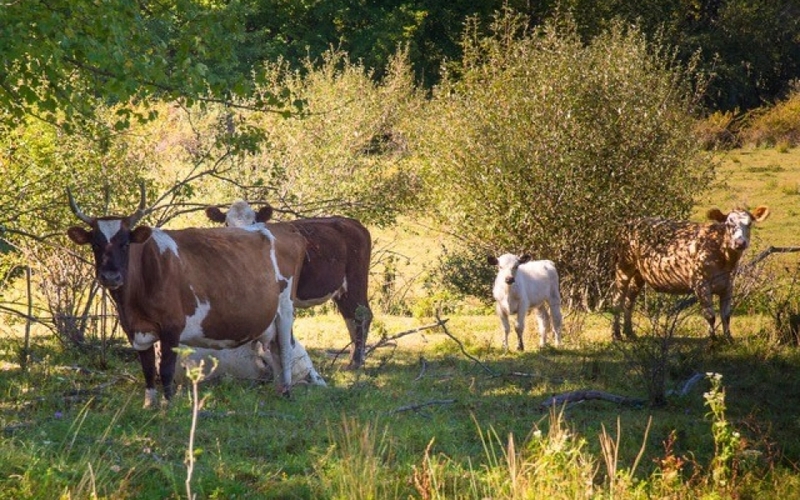 The young of all farm animal remain with their mothers until natural weaning occurs, starting their lives stress-free and with the best nutrition that nature intended. 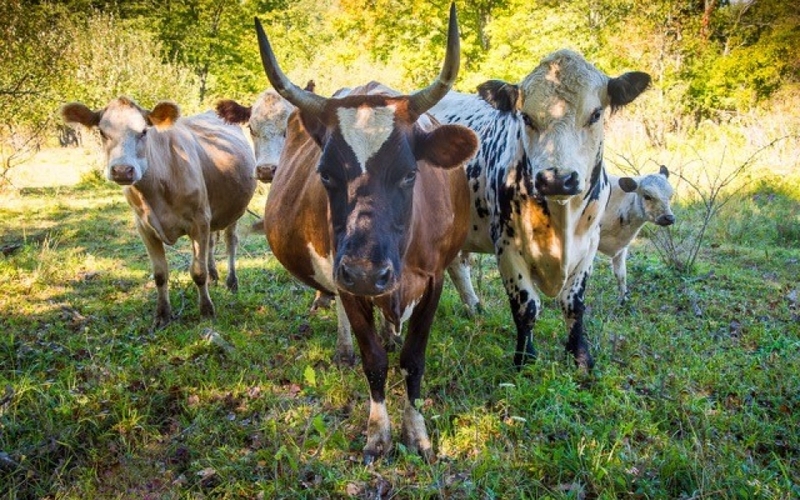 Our butcher is certified organic and certified humane and is in close proximity to the farm so that the animals do not have the stress of hours of travel. Because we are small and strive for all the health benefits of a balanced farm, not all meat cuts are available at all times. For a list of what meats are available this week, to pre-order for delivery to the farmers market, or to sign up for the weekly meat list by email, please email us. For information on bulk beef, click here.